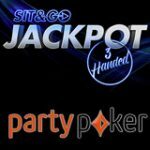 To celebrate the launch of the new jackpot SNG tournaments there are special Party Poker Sit & Go Hero Missions available in the lobby until 21st April, 2016. 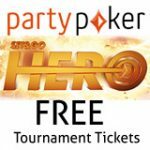 Complete a Hero mission and get a tournament ticket to the freerolls with prize pools ranging from $2,500 up to $10,000. 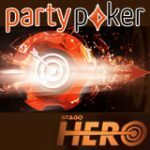 The new 4-handed Sit & Go Hero Party Poker bounty tournaments are a unique version of the jackpot SNG format as it includes a random bounty prize as well as random jackpot prize pools. 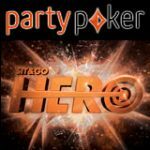 Try the new Sit & Go Hero Party Poker tournaments and complete the mission objectives to get tournament tickets to the PartyPoker Sit & Go Hero freerolls. 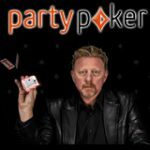 Complete the Party Poker Sit & Go Hero Missions and get freeroll tournament tickets, there are four missions including a mission for PartyPoker Mobile. 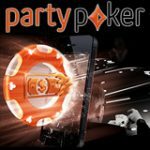 The fast format of the Hero SNG tournaments make it a great game to play on a mobile device as these bounty tournaments are four handed and tournament only take a few minutes to play. Two interesting and exciting things happen when you register for a HERO SNG, the prize pool is randomly selected with a jackpot multiplier and one player is also randomly selected as the player with a bounty on their head. This jackpot format allows players to win up to $170,000 in just a few minutes, the game is available at a wide range of buy-in amounts to suit any players budget: $1, $3, $5, $10 and $20. Below are the mission objectives and prizes for completing the HERO Sit & Go Missions, take note that the promotion ends on 21st April, 2016. Opt-in for the HERO Sit & Go Mission in the lobby by clicking on the missions tab, active one mission at a time by clicking on Start Mission on the mission you wish to complete. 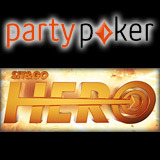 For more information about Sit & Go Hero Party Poker tournaments click here.